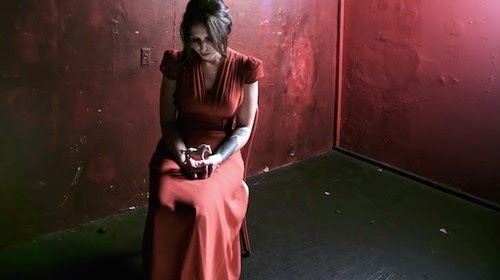 SubGenre Magazine - Rock Music News and Beyond: CHELSEA WOLFE DEBUTS NEW VIDEO FOR "THE WAVES HAVE COME"
CHELSEA WOLFE DEBUTS NEW VIDEO FOR "THE WAVES HAVE COME"
Earlier this year, Chelsea Wolfe shared an intense video for her Pain Is Beauty track "Feral Love", which was an excerpt from a 52-minute film called Lone. Wolfe co-wrote the film with director Mark Pellington, who did Pearl Jam’s iconic “Jeremy” video and clips for Michael Jackson, Nine Inch Nails, U2, and others, plus the films Arlington Road, The Mothman Prophecies, and more. Today, she’s shared another excerpt from that movie, this time a video for the track "The Waves Have Come".